I hope that everyone had a wonderful Thanksgiving! Now that we are back to reality with our full bellies, and preparing to bring in Christmas and the New Year, some of us will have lots of guests come in and out of our homes. 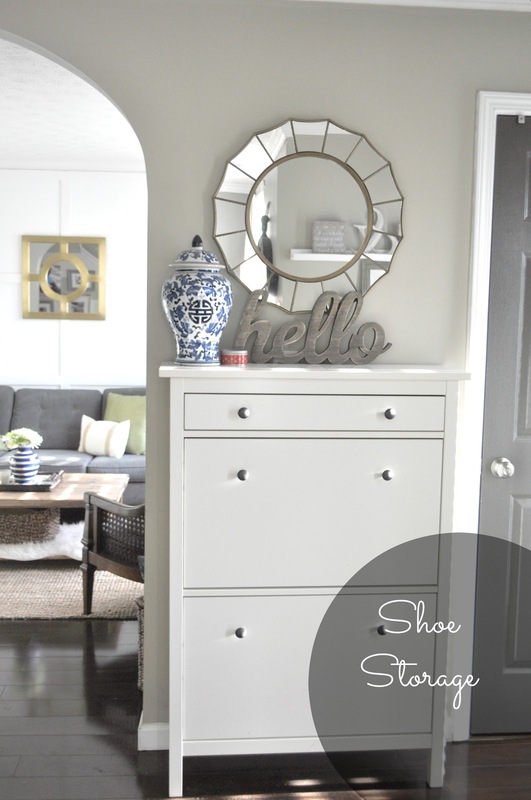 I figured that now is the perfect time to share my tips on ways to create a welcoming and functional entryway. 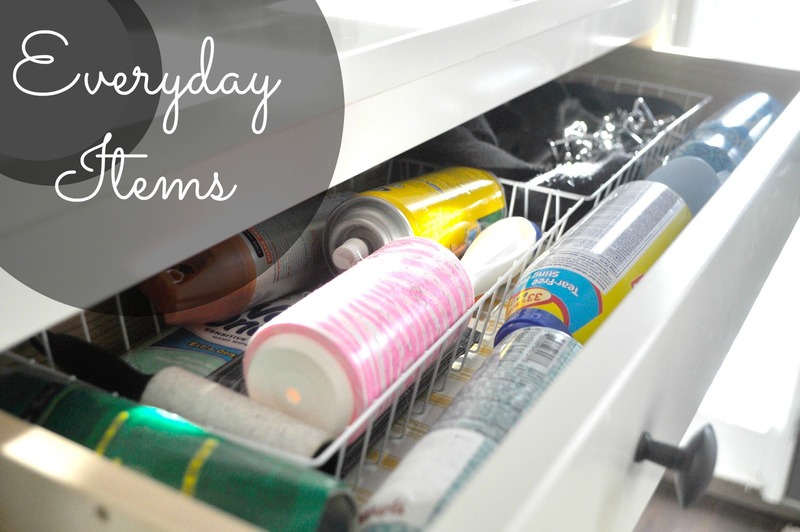 Plus, it gives an opportunity to get a jump on a bit of organizing before the New Year! When you enter my front door, just to the right is my Ikea Hemnes Shoe Cabinet. . Ikea sells them for $129 but I lucked up on mine from Craigslist for $70. It was in perfect condition. I always suggest checking Craigslist for Ikea items before buying retail. If you are patient, you will probably come along what you been searching for. It works perfectly to keep my entryway clear of shoes. The shelf has two cabinets and there are two rows in each. In total I believe it holds about 16 pairs of shoes. Not just small shoes, but my husbands big ole’ shoes as well. In the top drawer of my Ikea Hemnes Cabinet, I keep things we use often or that we need at the drop of a hat when running out of the door. In there I have bug spray, room spray, sun screen, a lint brush, shoe spray, my dogs leashes, and some wet wipes. 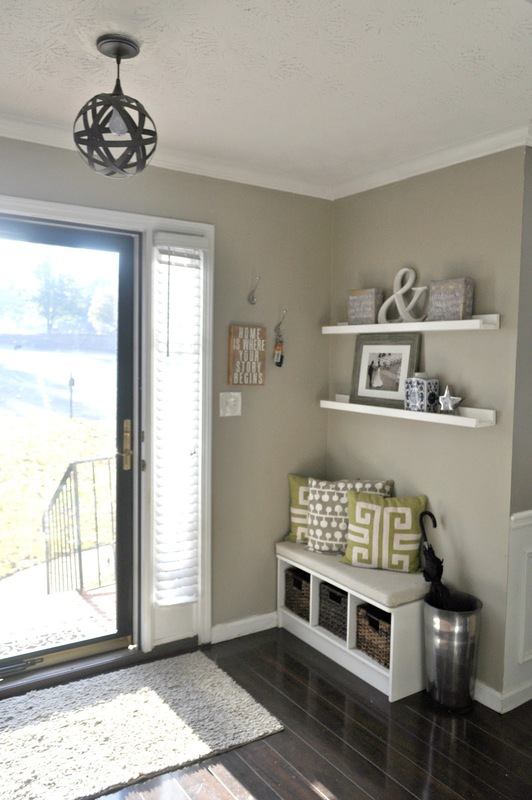 Having a place to sit to slide shoes on and off is definitely an added bonus to any entryway. I use my bench quite often to take my shoes on and off. If you can find seating with added storage at the bottom like this bench that I purchased from Target, that’s even more perfect. My bins are currently not in use, but as my little person grows up, his play shoes will be kept in these baskets, along with other things that he may need to access quickly when he goes in and out the house. Also keep in mind, the bins I purchased separately from Target as well. You can also see as part of my misc. storage, I added a place to store my umbrellas. This was an old glass vase which held a huge flower bouquet. Once I dumped the flowers, this vase has served this purpose every since and I love it. I have been using it about 2.5 years now. 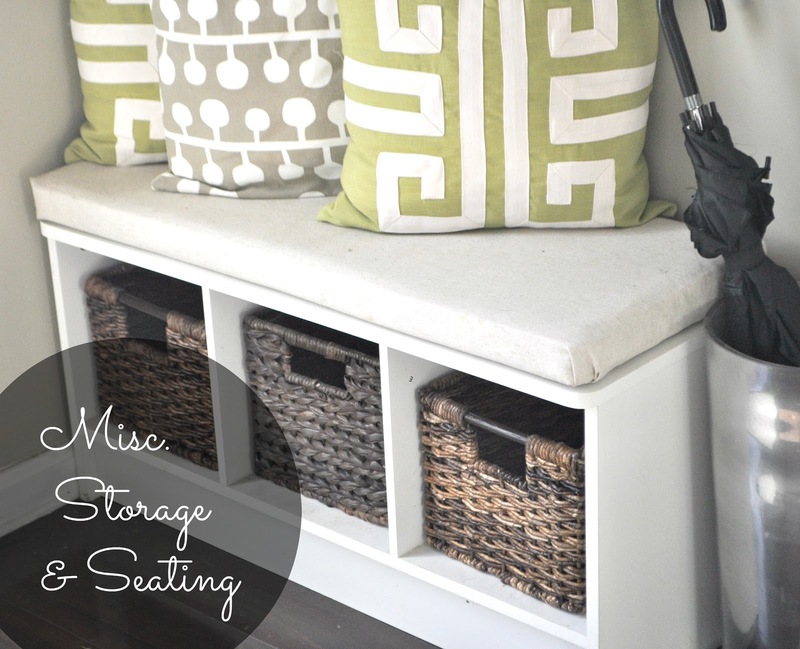 Check out my tutorial here for how I built the DIY floating shelves above my storage bench. This area is one of the smartest things that I have added to my home. I never have to search around for my keys with these hooks that I purchased from The Home Depot, because I’ve made it a habit to hang my keys here every time I come in. On occasion I hang by baby boy’s coat on this hook as well. They were less than $3 each and have a brushed nickel finish. 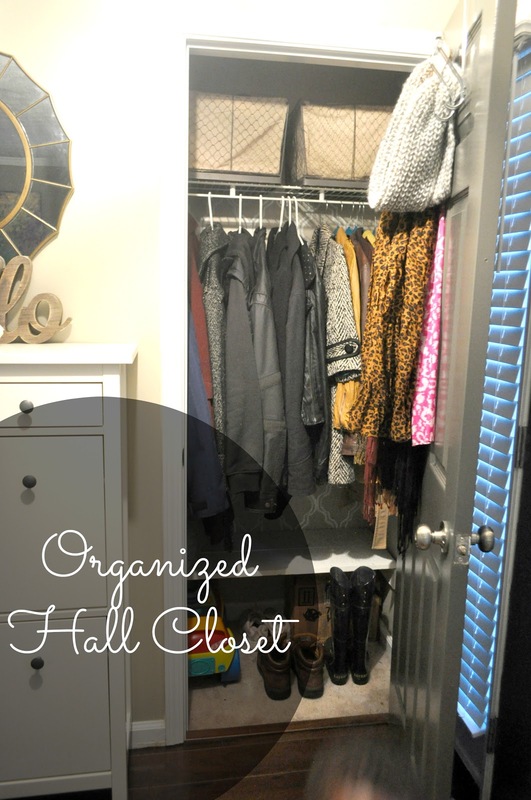 My hall closet used to be a drop zone for whatever did not have a place. A few years ago, we made it over, building a shelf at the bottom to make use of all of that wasted vertical space, and ever since, it has been a breeze to keep organized. 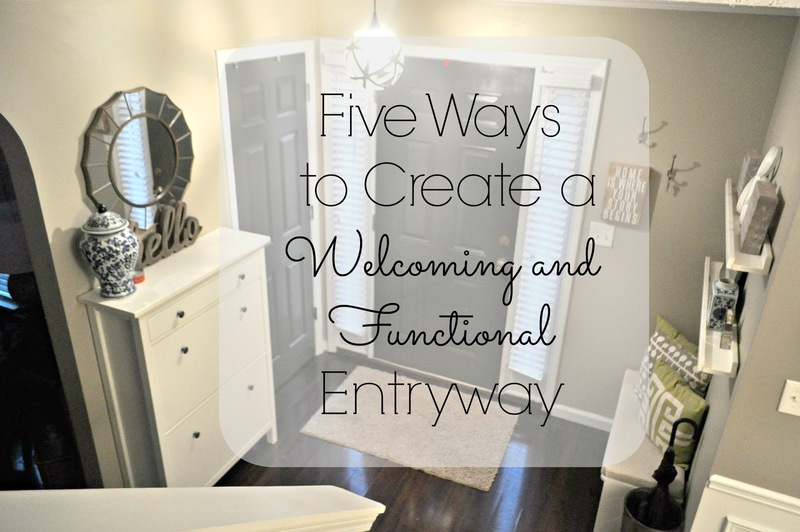 Now that we are in full Holiday swing, hopefully these tips will be helpful in creating an entrance that make your guests feel welcome as soon as they enter. If you have any other tips to share, please do so below! I would love to hear them. Never thought to put a shelf at the bottom of the closet. Must. Do. This! Thank you! 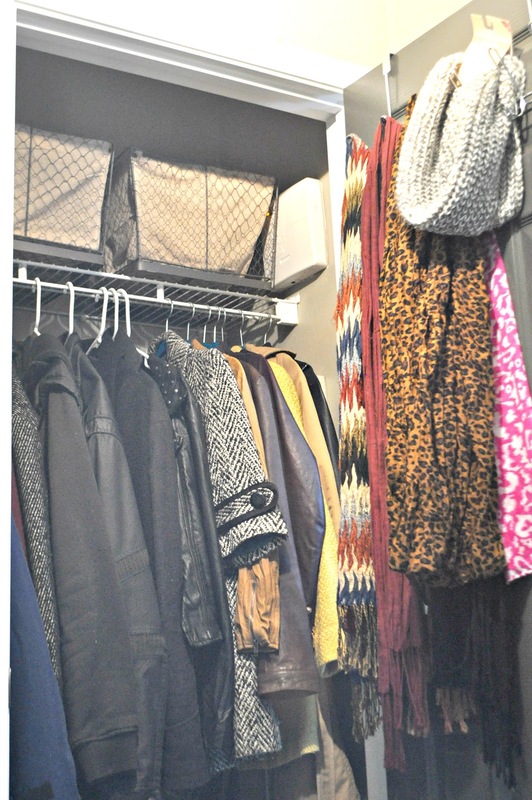 It really is helpful making use of the vertical space in the closet. I like the top drawer idea Erin! I have the same piece from IKEA but that top drawer is a mess. I love how you have it there for basic essentials! Thanks Alaya! The good thing about having those items there is that my drawer stays this way. The cans take up so much room, not much room for anything else. 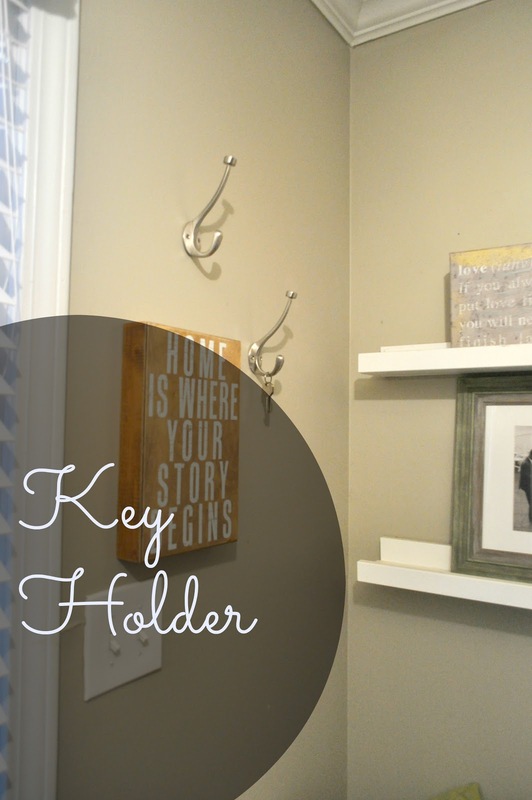 the bookshelf works great and you can easily add storage baskets to keep things neatly hidden away.